Here is my last report from this year’s edition of the Real Wine Fair. You may also read the first two articles that cover the sparkling wines and some Spanish producers. I will just give you some of the many highlights. Jo Landron was there with some of his magnificent Muscadet whites, biodynamic since 2008, with their citric edge and steely minerality. Le Clos la Carizière 2015, a light and fruity wine from a rented single vineyard, partly on gneiss soil, that gives a flinty hint, and the Muscadet Amphibolite 2015, from amphobolitic soil, that gives a slightly more smoky character. The Melonix 2015 is his most natural wine, with no additions and only 10 mg sulphur. It stayed 3-4 months on the lees; citrus, peel, it’s round and delicious, but the acidity carries it over. In the corner was the lovely Marie Lapierre, whom I have never met before. The family is almost legendary, leading the way in the beginnings of the modern natural wine movement. Their vineyards cover 13 hectares in the Ville-Morgon area of Beaujolais. They used compost and ploughing to preserve the natural yeast of the grapes. The wines are unfiltered, and only given a small amount of sulphur before bottling. The Vin de France Raisins Gaulois 2016 was the only wine she had brought from the Domaine Lapierre this time, a light and delicious, raspberry/strawberry-scented wine from young vines. From their Château Cambon between Morgon and Brouilly on clay-granite and calcareous soils, she had brought three wines. The Château Cambon 2016 was more aromatic, both light and concentrated at the same time, smooth, long and so very elegant. The Cuvée du Chat 2016 was just as elegant and with a raspberry lusciousness. Brouilly 2016 was made for the first time this year. It showed a somewhat darker side, a little broader, more earthy wine, and with more structure. Right beside her was Jean-Claude Lapalu, of Brouilly, Beaujolais. I have tasted some of his wines over the past few years, and I find them a bit more on the wild side. He favours some more extraction, and the wines stay at least 6 months on the lees. Among his selection the Brouilly “Croix des Rameaux” 2014, from 80 year old vines and aged in 3-5 year old barrels, is a pure wine with lovely raspberry fruit, but with an underlying earthiness, some leather and tar behind there too. The Vin de France “Eau Forte” 2013 is a bit more developed, but by no means fading. It shows some etheric, almost pinot’esque character, with some raisins, and a touch of figs, drying towards the end. The Brouilly “Alma Mater” Amphora 2012 was also interesting. It was not surprisingly vinified in amphoras, the grapes destemmed: Developed red, aromas of red fruits, cherries, and a bit raisiny too, concentrated and serious. From Sicilia came Arianna Occhipinti, who has taken the wine world with storm with her stylish, fresh wines, such as the SP68 2016 Rosso and Bianco, named after the main road in her part of Vittoria. She seems to have a magic tough in her frappato grape, but the nero d’avola and the white albanello and muscato. 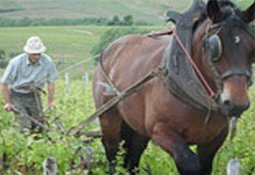 Low yields and natural farming are two key-factors. The white SP68 is simple as it’s good, with its flowery aroma with hints of peel and nuts, and is just on the way to become an orange wine, even it the light colour suggests something else. Its red counterpart (frappato and nero d’avola) has a somewhat lighter body than the previous vintage, quite dark in colour, but with a very supple and fresh fruit, with elements of blueberry and herbs. Il Frappato 2015 was extraordinary, of course, with its pure, elegant dark cherry fruit with apricot and some spicy notes. I also liked Il Siccagno Nero d’Avola 2014, light in colour for a nero d’avola, but delicious, pure, red fruits, blueberry and flowers aroma. Cantina Filippi owns the highest vineyards in Soave, up to 400 meters. Most of the vineyards were planted in the 1950’s, and the 16 hectares are divided into three “crus”, Castelcerino (the highest one), Monteseroni and Vigne della Brà. The Vigne della Brà 2014, from clay soil, was light and very delicate. I also liked the Montesoroni 2014, from limestone. It’s more open, with white flowers and herbs. In a way it feels mellow and smooth, but with a very “Italian” grapefruity, slightly bitter aftertaste. Meinklang is a big estate, some 1.800 hectares, 70 of them vineyards. They are Demeter-certified biodynamic. They started over the border in Somlo, Hungary. This is a plateau formed by a volcano. Angela and Werner Michlits of Meinklang were represented by their importer The Winemakers Club, that showed a great variety of wines, such as the J 2013, (the J standing for the juhfark grape) from the aforementioned Somlo of Hungary, a cider, and many lovely wines from various Austrian grape varieties. If I then should give myself the task of mentioning only three wines among those that I never had tasted before, I would this time stick to the whites: The J was an exciting wine one and a half days skin-contact and that stayed for 12 months in big Hungarian barrels. It was quite light, fruity with some peel and some tropical notes, with a good acidity and a slightly bitter aftertaste. The Graupert Weiss 2015 from an unpruned grauburgunder (pinot gris) with ten days skin-maceration, and Konkret Weiss 2014 of red traminer, yellow traminer and geewürztraminer, of 28 days skin-contact in concrete eggs especially designed for Meinklang. After pressing it went back to the egg for a 9 months ageing. No sulphur at any stage. A dark wine that plays with oxidation, quite structured. were both darker wines with more skin-contact, both flowery with aromas of peel, smooth textured lovely wines..
Pedro Marques at Vale da Capucha, Torres Vedras, is among the young squad that is currently revitalizing the vast Lisboa region. I have knowed the man and his work for some years, and I love his full, expressive whites and some of his fresh reds too. In the monarchy of Arinto it’s he who is king, and occasionally his alvarinho and gouveio deliver on the same level. He looks for maturity and a rich texture, and he uses only a minimum of sulphur. All wines could be mentioned, here I will limit myself to the two entry-level wines he shows in the picture, called Fossil, that denote that the farm is located only 8 km from the sea, and in the ancient times under water. Fossil Branco 2015 was full and glyceric, but energetic and complex, salty, with citric notes, pineapple, and some smokiness, and good acidity from the arinto (fernão pires and gouveio also in the blend, all three in equal parts). The 2014 was also brought to the table. Clearly in the same family, but not as bright. Fossil Tinto 2015 (touriga nacional 60%, tinta roriz and some syrah) was dark, smoky with flowers and green herbs, fresh, and with a nice tannic grip. Craig Hawkins is a leading figure in South Africa’s dynamic Swartland region. I have tasted his range several times and cannot recommend it enough. The wines tend to be very natural and with little extraction. I really like the entry-level wines called Baby Bandito. His Testalonga El Bandito “Cortez” from 35 year old chenin blanc vines on granite is always brilliant, now 2015. Lively, iodine, mineral and with that steely edge from the grape. “Mangaliza” 2015, from the Hungarian grape of that name, was a new find. “Monkey gone to Heaven” (on bicycle, according to the label), now 2016, is as always concentrated. But there is a lot more to it, a floral and grapey mourvèdre with red fruits and fresh aromatic herbs. 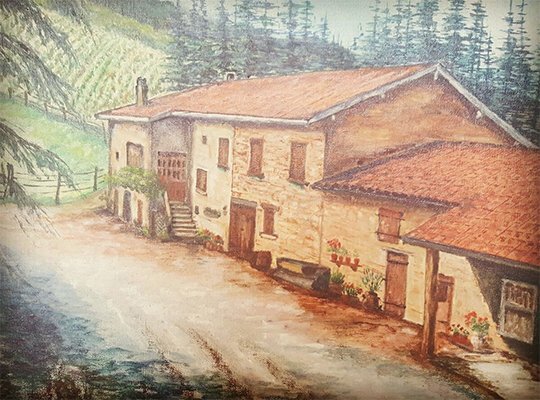 De Martino has been around since the founder came over from Italy to Maipo in the 1930’s. Today they are among the leading organic producers in several regions. Some of their most interesting wines are results of dry farming in the southern Itata region. The Muscat and the Cinsault aged in clay are the two that come to my mind. Here they came in various versions; a muscat/corinto was interesting. So were some of the cheaper ones such as fruity, wonderfully balanced cabernet sauvignon under the Legado label (2016). This is a wine that my local dealer said I must try. And I am glad I did! Chénas is one of the northernmost crus of Beaujolais, it sits on sandy soils on granite, and like its neighbour Moulin-à-Vent it stands for quite structured wines. Paul-Henri Thillardon, and his brother Charles (who joined his team some five years ago), come from a family of growers in the south of Beaujolais. The 13 Chénas hectars are all certified organic, and some biodynamic techniques are also employed. Always macération carbonic. The grapes for Les Blémonts grow on clay, and will always give a fresh taste to the wine. Purple colour. Cherry fruit, a light touch of orange peel, some earthy notes, mushroom, and a bit reductive. Good weight in the mouth, young tannins. Yesterday was the third Thursday of November, also known as the day of the Beaujolais Nouveau release. Our readers will know that we (journalistic pluralis) love this style. And among the various nouveau wines we often prefer wines like Lapierre/Cambon (featured last November), Foillard (reported on a few times) were again among the best. Brun is also one of my favourite producers of the area, but has so far not been highlighted. This year I think he may have made the best of all nouveaux. Jean-Paul Brun’s winery is located in Charnay in the southern part of Beaujolais, a beautiful landscape with the golden stones that give the name to his estate. Today he owns 45 hectares, mostly around the winery, but some in other crus and communes. His winemaking philosophy can be summed up in a few words: natural yeasts, spontaneous fermentation, low SO2, traditional Beaujolais maceration. Ruby red. Berry-driven aroma, raspberry, and behind that, more mature morello, a hint of animal too. It has the full, luscious appeal that we expect of a nouveau, but it’s more structured than normal, with tannins and acidity in balance. Allow it to breathe in glass or carafe. Will keep well for a couple of years. Laurent Gauthier is another interesting grower in Beaujolais. Based in Villié-Morgon he consider himself lucky to live in, and live with, his vineyards, to ensure the sustainability of the project. He likens himself to a painter whose palette has many colours. There is only one basic ingredient, the gamay noir variety, but it is expressed differently according to the terroirs. The family vines planted on a light slope and oriented east – south east. This particular wine underwent a (for the area) traditional vinification, with 16 days of maceration with 80% whole bunches, and 9 months in big wooden vats. Cherry red, on the dark side for a modern Beaujolais. Still smooth and elegant, it’s however also a bit tougher than the rest, not in acidity, but maybe in fullness and concentration due to the treatment (more batonnage) in the vats. The aftertaste is dominated by sweet fruits (I was also thinking about toffee, but I am not sure if I dare to write it – it disappeared with airing anyway). Jean Foillard was one of the disciples of Jules Chauvet, one of the fathers of modern natural wine. Foillard’s Morgons are from nearly 100 year old vines from the family domain grown on granite and schist soils. They are made according to strictly organic principles and with very little SO2, but there is nothing «strange» about them, and I suppose anyone can like them. Though accessible and delicious when young they have an ageing potential of several years too. They undergo a traditional whole cluster beaujolais fermentation for 3 or 4 weeks. Then are aged in old barrels, but oaky is clearly not a word to describe these wines. Young red colour, dark for a beaujolais. Lovely perfumed scent of raspberries and cherries. Delicious, juicy taste, still good concentration and just a slight touch of tannin. Good length. Complete finesse – Serious fun!